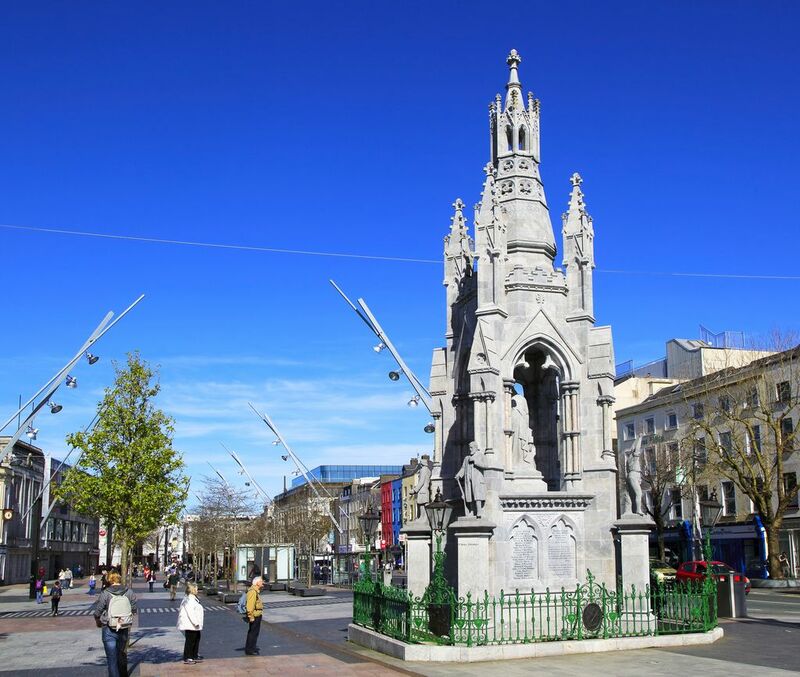 Wedged between two arms of the Lee, the city centre is crossed by the wide Grand Parade. To the south, the bell-shaped National Monument pays tribute to the Irish patriots who died in the struggle for independence. As you walk down the avenue, away from the river, admire the colourful facades of the 18C houses. 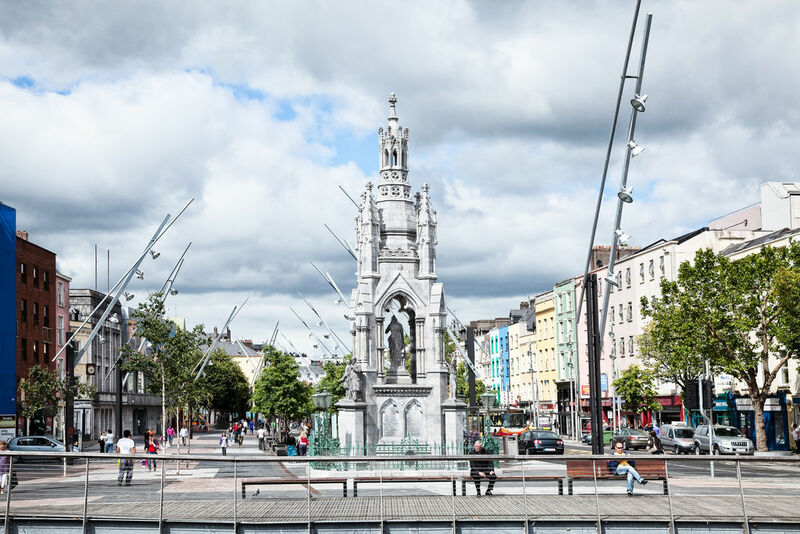 On the right, you will cross over Oliver Plunkett Street, formerly the fur-traders and jeweller's district.